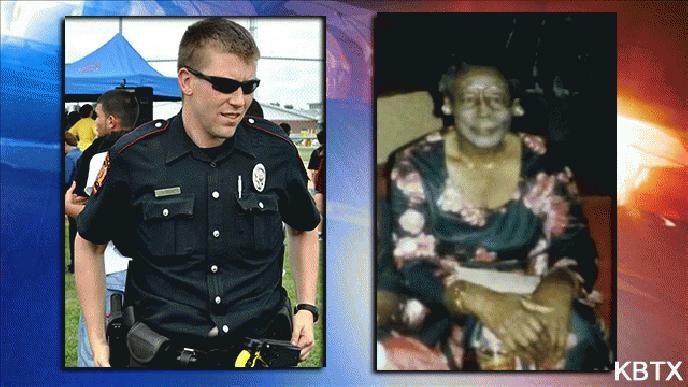 HEARNE, Texas – The police officer who shot and killed a 93-year-old woman is out of a job, CBS affiliate KBTX reports. Mayor Ruben Gomez said he would recommend termination. Today, city attorney Bryan Ross advised the council do to the same. Today, McCabe told KBTX news he will meet with Stem next week to discuss the termination and what step to take next. Stem has been a police officer since August 2008. He previously worked for Bryan and Lott. Stem joined the Hearne Police Department in July 2012. Six months later, he shot and killed 28-year-old Tederalle Satchell who was shooting a gun from inside a vehicle in the parking lot of the Columbus Village Apartments. A Grand Jury did not indict Stem in that shooting. The District Attorney’s Office tells KBTX News it could take a couple of months for the Golden case to be presented to a grand jury.